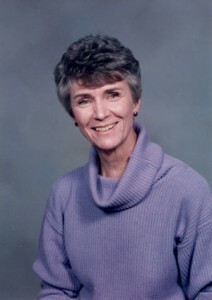 As many of you know, Janet Dauble, the Founder of Share, Care and Prayer, Inc., a nonprofit support organization for those with Environmental Illness, passed away on January 25, 2011. A memorial service was conducted on February 12, 2011 in Frazier Park, Caifornia. We will all miss Janet and her kind, compassionate and supportive work with Share, Care and Prayer, work that she considered her ministry. Many of you have been asking if the work of Share, Care and Prayer will continue in some form. Those of us in the E.I. community hope that this work can be continued. I have spoken with Carolyn Gorman who has been providing the Share, Care and Prayer E.I. answer line for many years. She has assured me that she will be continuing to do an E.I. answer line, a donation based phone line for those with Environmental Illness who have E.I. Questions. Carolyn Gorman and The E.I. Answer Line are available Tuesdays and Thursdays from 9am to 1pm Central Time. The phone number is (972) 964-8333. Thank you Carolyn for continuing this important work! Carolyn has also stated that she will be creating a website and will try to continue the Penpal directory and have a newsletter written. We are hoping that the Lending Library might also continue. We have some ideas for continuing other aspects of this work such as having a Prayer Line, Prayer list or Prayer Chain and Prayer partners. Many ideas are still in the formative stages. She is looking for people who might like to help. If you wish to help to continue this valuable work in some way please call Carolyn or email her at: carolyn.gorman@verizon.net (please do not email her unless you wish to help carry forward this work in some way or have an E.I. question, thank you!). Hello! I just got the idea to see of Share, Care and Prayer were now on the Internet–and it is! I am sorry to learn of Janet’s going Home. May she rest in peace. She was such a blessing to so many people! I was a member after I was so sensitive that I, and my son, had to live in a protective environment 24/7. We found help from various sources and are doing much better. However, I still must be very careful. Recently, I got answers to my question WHY? I inherited psoriasis from my dad. It affects every cell in one’s body and makes everything more sensitive. Stress activates the symptoms. I have lots of that–stress. I have ADHD because my mom and dad both smoked and drank lots of coffee while I was gestating. My son is the same because I was on a prescribed antihistamine that was supposed to be a problem for only 1% of the population. Allergy shots made me feel worse for 3 days. I got off these allergy aids after we started the Feingold Program and I tried a natural multi-vitamin and mineral supplement. My nervous system was damaged in gestation because my mom was under extreme stress and produced too much cortisol which interfered with the formation of my nervous system. I am left eye dominant, ambidextrous, sensitive and high strung and think “outside the box”. Creative about everything I do. I was under a lot of stress during my son’s gestation (they wanted me to abort him) and he has the same result as I have. May God bless all MCSs out there! Are you still there? Are you healthy. Still in a healthy living environment? I’m 77, been EI all my life. Is anyone out there! I was diagnosed with E.I. in ’81. I was born allergic. Still alive & kicking at 78. Anyone to share experiences with?